Staying fit and healthy is an important factor in dealing with Neuromyelitis Optica (NMO). While it may be difficult at times considering the symptoms of NMO, maintaining a fitness regimen and a healthy diet is an important factor in battling the disease. 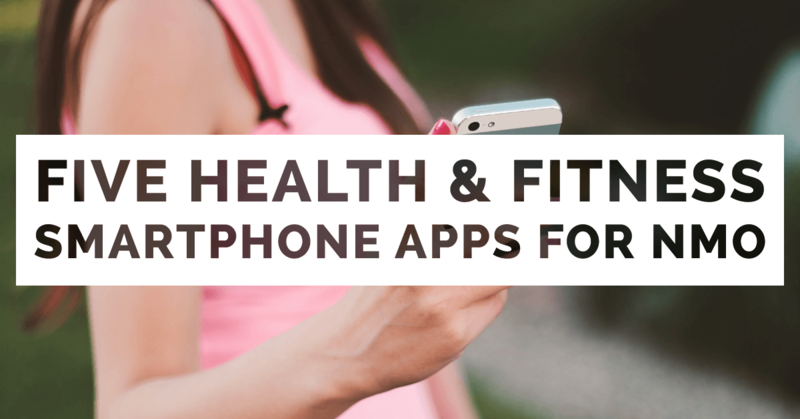 These applications may be useful for patients and/or caregivers to ease the stress of staying fit and eating healthy by tracking your workout progress, showing you new workout ideas or providing you with information on your condition. Suggestions for apps that help NMO patients were received via Facebook and can also be submitted on the NMO Apps and Software page. Eat better. Lose weight. Be healthy. Let Fooducate be your diet toolbox! Lose weight with REAL food, track your progress, and get motivated by the community. Get Active, lose weight, lower your blood pressure, live longer, and feel better. Join the millions who have already downloaded Pacer for free, and enjoy the easiest-to-use, most beautifully designed health and fitness application for iPhone and Android. This application allows you to search for exercises appropriate for people with spinal cord injuries and other neurological conditions. It is a very handy reference for physiotherapists and other professionals. You can search by condition, exercise type, body part, equipment available and age category. Track your pace, measure workout distance, chart weight loss, crush training goals and more with LifeHacker’s 2012 Best Running App! RunKeeper is the simplest way to improve fitness, whether you’re just deciding to get off the couch for a 5k, biking every day, or deep into marathon training. For more apps and software that may help with Neuromyelitis Optica, visit the NMO Apps and Software page where you can also recommend apps and/or software.